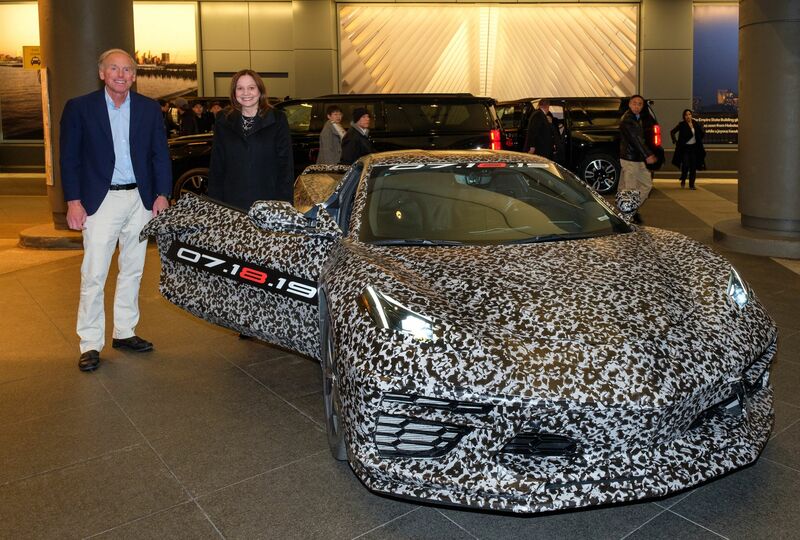 The camouflaged next-generation Chevrolet Corvette in New York City on April 11. Photo by Jennifer Altman for Chevrolet. It’s been, quite possibly, the worst-kept secret in General Motors’ history. For the past two years or so, the internet has been flooded with spy photos of the camouflage-wrapped next-generation Chevrolet Corvette in testing, but on April 11, General Motors CEO Mary Barra finally announced the date the C8 would be revealed to the public: July 18, 2019. In the same statement, Barra revealed that the final production C7 Corvette will be sold by Barrett-Jackson on June 28 in Connecticut, with all proceeds going to charity. As of this writing, nothing more is known about the next Corvette, and that includes details (like the location) of its public unveiling. The photos released by GM (the first acknowledging the car’s existence) show a C8 test mule still wrapped in camouflage vinyl to mask appearance details aside from the overall shape and size, and from the short nose and long rear the car certainly appears to be mid-engine as virtually all have speculated. With shorter front and rear overhangs than the existing C7, the wheelbase appears to be longer than that of the current car, though this may well be an optical illusion. Chevrolet Corvette Chief Engineer Tadge Juechter and General Motors Chairman and CEO Mary Barra pose with the C8 in New York City. Photo by Steve Fecht for Chevrolet. Car and Driver (via Jalopnik) believes that the base C8 Corvette will come powered by an updated version of the LT1 V-8 found in the current car. Today, when equipped with the optional performance exhaust, the LT1-powered Corvette produces 460 horsepower, but speculation is that the updated engine will produce around 500 hp in the C8. There’s bad news for those who prefer rowing their own gears, since consensus is that a manual transmission will no longer be offered. The C7 Corvette Z06, at SEMA in 2017 (and not the last-production model to be auctioned in June). Photo by Isaac Brekken for Chevrolet. As for the final C7 Corvette produced, it will be a black 2019 Z06, which comes with supercharged 6.2-liter LT4 V-8, rated at 650 horsepower and 650 lb-ft of torque. The car will cross the block in Uncasville, Connecticut, on Friday, June 28, as part of Barrett-Jackson’s Northeast sale, with all proceeds going to support the Stephen Siller Tunnel to Towers Foundation. Named for firefighter Stephen Siller, who was killed in the September 11, 2001, terrorist attacks on New York City, the organization supports injured and fallen military members, first responders, and their families. The Tunnel to Towers Foundation builds mortgage-free smart homes for severely injured service members, helps to pay mortgages for families of first responders killed in the line of duty, and even pitched in to help the victims of Superstorm Sandy in 2012. Since 2014, it has been the national charity of choice for GMC, which has helped Tunnel to Towers raise more than $10 million in the past five years. The selling of significant-VIN Corvette models to help the Stephen Siller Tunnel to Towers Foundation has become something of a tradition for both GM and Barrett-Jackson. 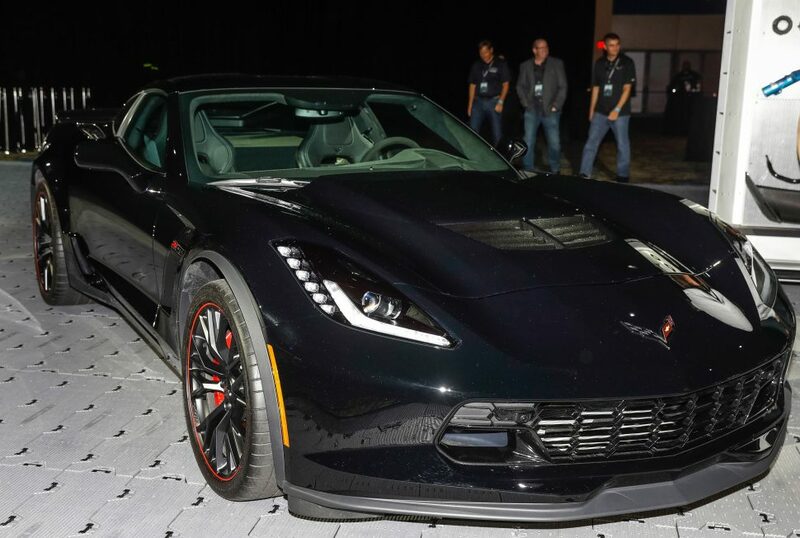 At Scottsdale in 2018, NASCAR team owner and Chevrolet dealer Rick Hendrick paid $925,000 for the first-production 2019 Corvette ZR1, with all proceeds going to support the foundation. For additional information on the 2020 Corvette — as it becomes available — sign up at Chevrolet.com/Upcoming-Vehicles/Next-Generation-Corvette. To register for the Northeast auction, visit Barrett-Jackson.com, and for further details on the Stephen Siller Tunnel to Towers Foundation, visit Tunnel2Towers.org.